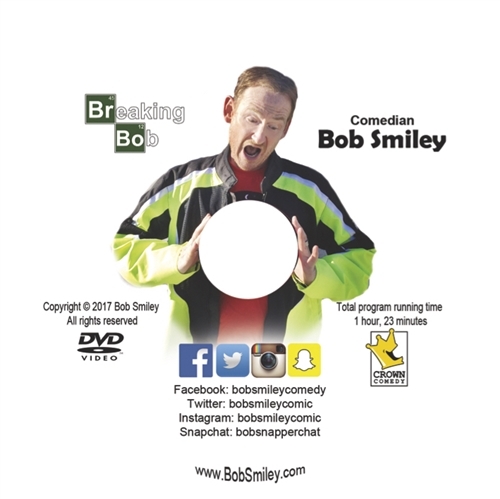 Bob Smiley celebrates his 20th year as a Christian comedian by launching his longest, funniest and most truthful comedy DVD since he started his hotel shampoo collection many years ago. 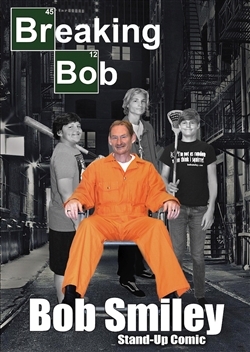 “Breaking Bob” is an hour and 23 minutes of laughs wrapped around a message of hope. Bob talks about his love for his three Tax Deductions (all boys). He opens up about his wife walking away from the home after 18 years of marriage. He covers his most asked question, is Smiley his real last name? We find out why he almost got punched in Alabama, and he shows people with ADD how to properly watch TV. This DVD promises to make you laugh, cry, or do something else. Guaranteed! 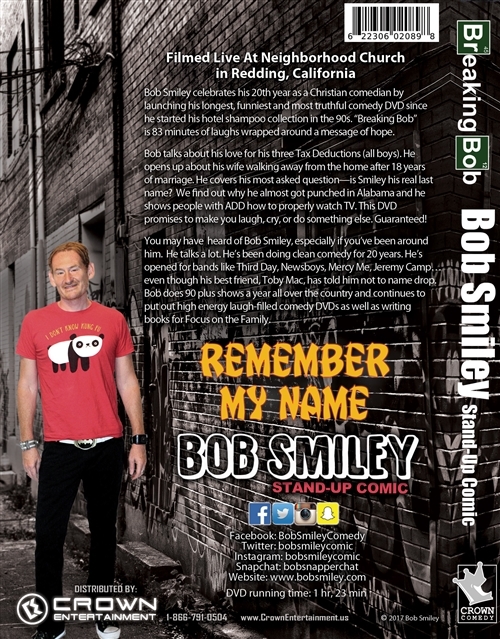 Chances are you’ve heard of Bob Smiley, especially if you’ve been around him. He talks a lot. He’s been doing clean comedy for 20 years. He’s opened for bands like Third Day, Newsboys, Mercy Me, Jeremy Camp… even though his best friend, Toby Mac has told him not to name drop. He does 90-plus shows a year all over the country and continues to put out high energy laugh-filled comedy DVDs as well as writing books for Focus on the Family.